Among the products the chain store will import and place on the market include instant choppies porridge, chilli beef flavored soup, oxtail flavored soup, chakalaka flavored soup, brown onion soup and choppies corn flakes. The NBA Board, during their last meeting held on Friday July 6, 2018, approved the application for a permit to import products that may contain GMOS by choppies superstores following a recommendation from the Scientific Advisory Committee –SAC-. 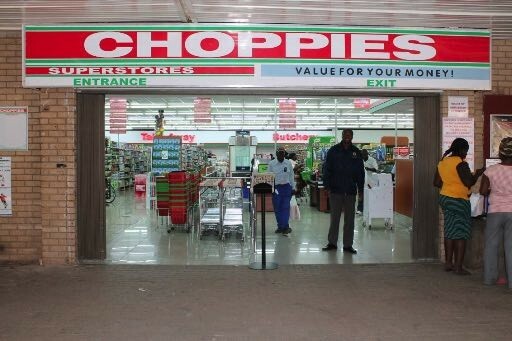 The SAC, after conducting a risk assessment, found that the products that choppies superstores sought to import did not contain toxins and allergens that might cause harm to the humans, animals and the environment. In April this year, the NBA accompanied by officials from the Ministry of Health, Lusaka City Council and the police swung into action and pounced on the unsuspecting lake road and ibex choppies superstores confiscating food products worth over K21, 000 which were brought in the country and placed on the market without obtaining approval from the authority. The chain store was also directed to withdraw all products containing GMOS from the shelves across the country that were being sold without prior approval from the authority. Meanwhile, the NBA has issued 23 permits since 2015 to various companies for the importation and or placing on the market of products that may contain GMOS. The import permits are valid for 5 years while permits for placing on the market range between three to six months to ensure compliance and prevent companies from contravening the law. The NBA is the only regulatory body which considers products that may contain GMOS to be placed on the market after risk assessment and upon granting of a permit and also regulates GMO products transiting through the country.